Ship Method: All items will be shipped within 48 hours. In the case of custom orders, they will be shipped within 5 days of purchase, unless otherwise specified. All Large stickers we sell are roughly 4.25 in wide and roughly 4.15 in long. The small stickers are roughly 2.5 in wide and roughly 2.15 in long. All sizes are rough estimates and do vary slightly based on the shape of the sticker. They are made of high quality durable vinyl and guaranteed to last on your vehicle for up to 7 years. 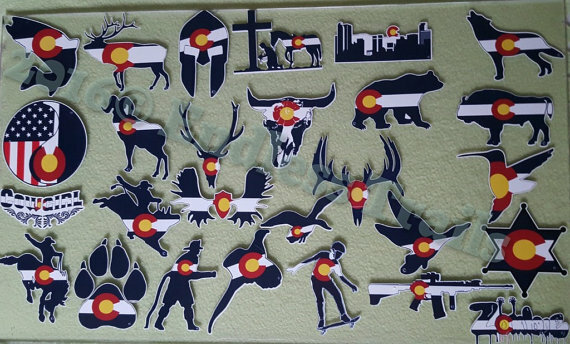 They stick anywhere you want to show your Colorado Pride. Any smooth surface, they are great for car windows, RV's, hard hats, tool boxes, and the list goes on! 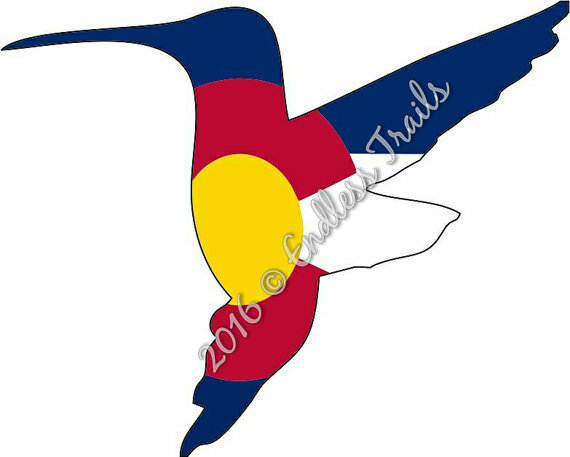 All stickers are created by us and are Copyrighted. If you find that you need more than the quantity available, please let us know and we can process more if needed, however it will take about 7-10 days to process depending on the number needed. We will email you if it will be longer than the estimated time.